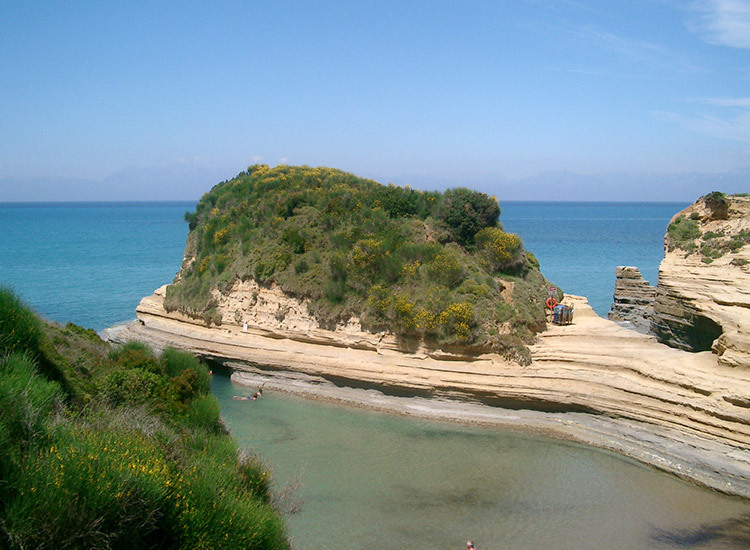 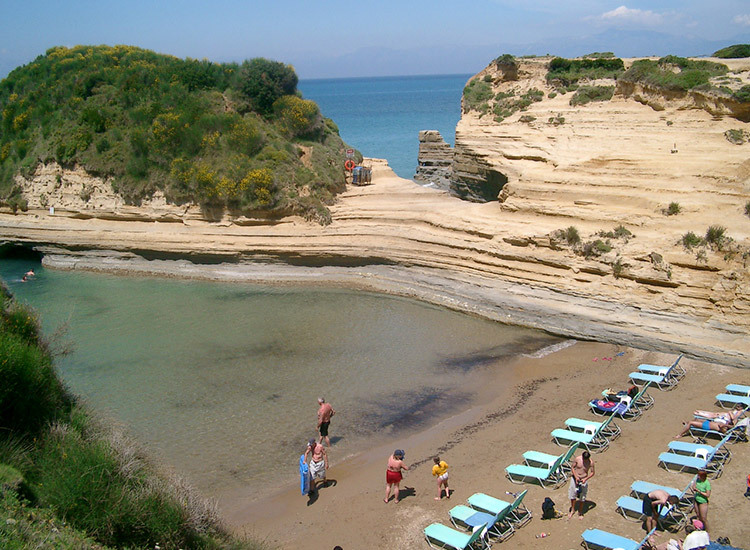 Sidari is the most tourist area along the North coast of Corfu. 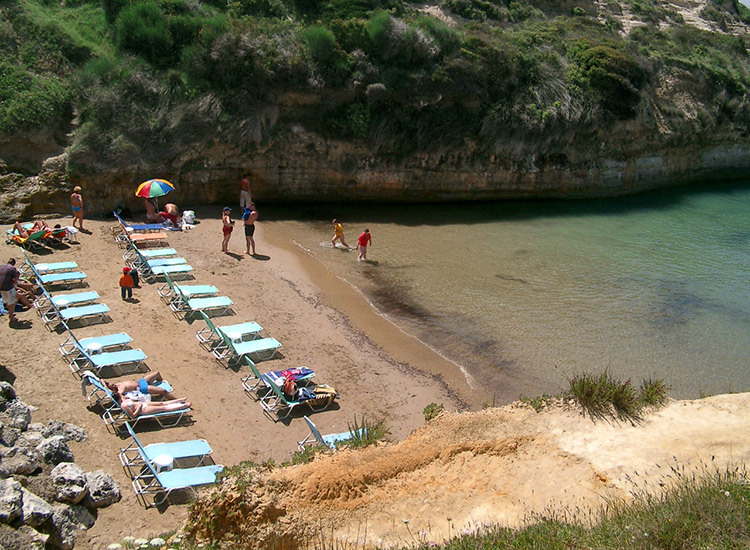 It’s placed near a large gulf that offers several beaches in a great developed area. 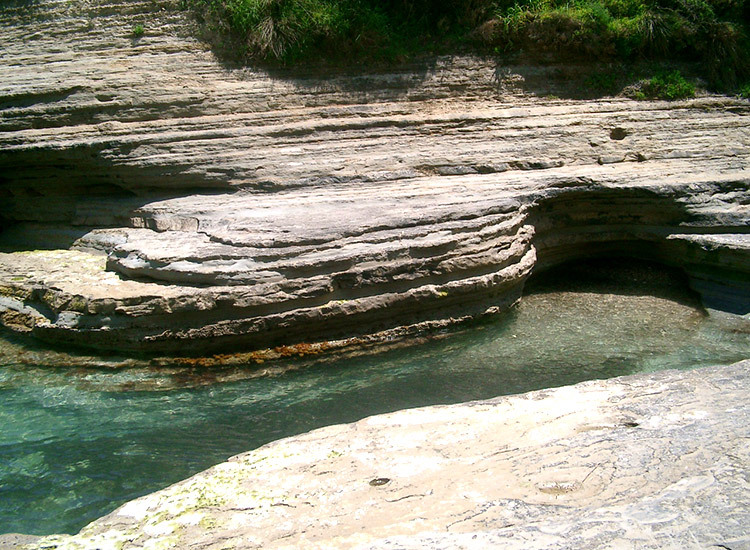 We included Sidari in our “Top Ten” for its famous Canal d’Amour (love channel), which is a great nature’s masterpiece carved by the sea and the wind during centuries. 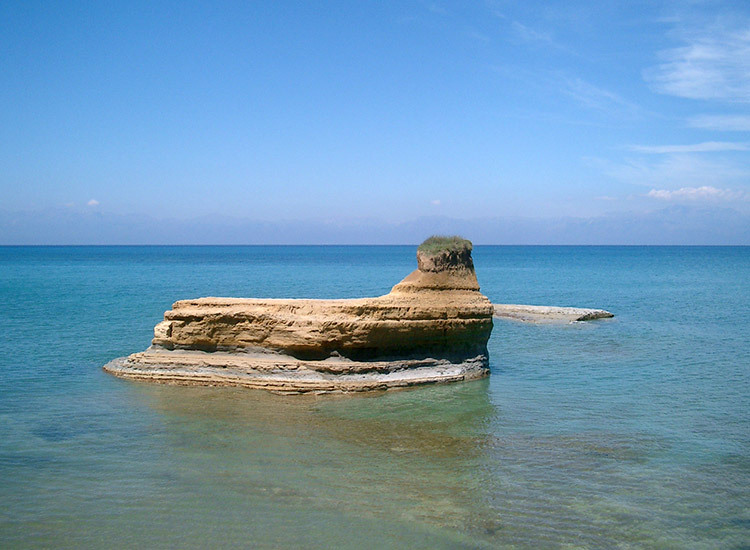 It seems to be in a lunar landscape, perhaps unique in the Mediterranean sea. 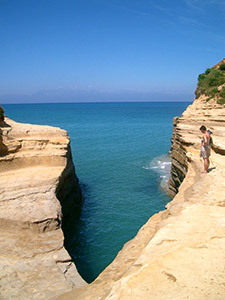 The Canal d’Amour of Sidari consists of some rocky cliffs that shape a particular sea channel and some nice bays you can reach by several paths. 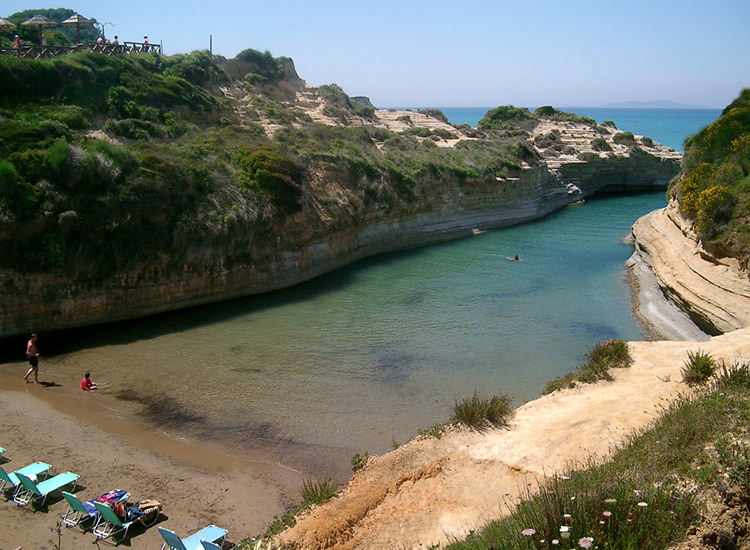 The rocks that compose the Canal d’Amour of Corfu are made of clay which permitted to the sea and the wind to create this lovely channel. 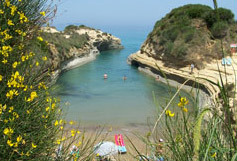 We suggest you also to have a marvellous swim or to dive into the clear water and to discover some sea caves.